After a drought that went on for far too long, there’s suddenly going to be a whole lot of Chappelle on our TVs. 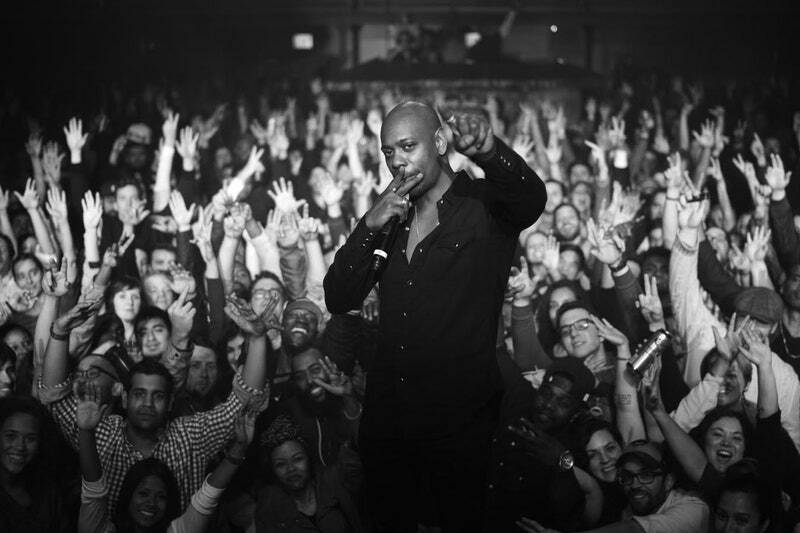 Three whole new Dave Chappelle comedy specials, all coming next year. It’s like comedy’s Christmas gift to the world, a slight trickle turning to a sudden flood—the new specials being the comic’s first in over a decade. According to Variety, two of the specials will be previously produced and unreleased performances recorded at Austin City Limits and The Hollywood Palladium, and will be released simultaneously. Chappelle will also produce an original special exclusively for Netflix, to be released at a still-unannounced date.